La-La Land Records and 20th Century Fox proudly present the remastered and slightly expanded 2-CD release of acclaimed composer John Williams' (JAWS, STAR WARS, RAIDERS OF THE LOST ARK, SCHINDLER'S LIST) orchestral score to the 1992 blockbuster holiday sequel HOME ALONE 2: LOST IN NEW YORK, starring Macaulay Culkin, Joe Pesci and Daniel Stern, and directed by Chris Columbus. 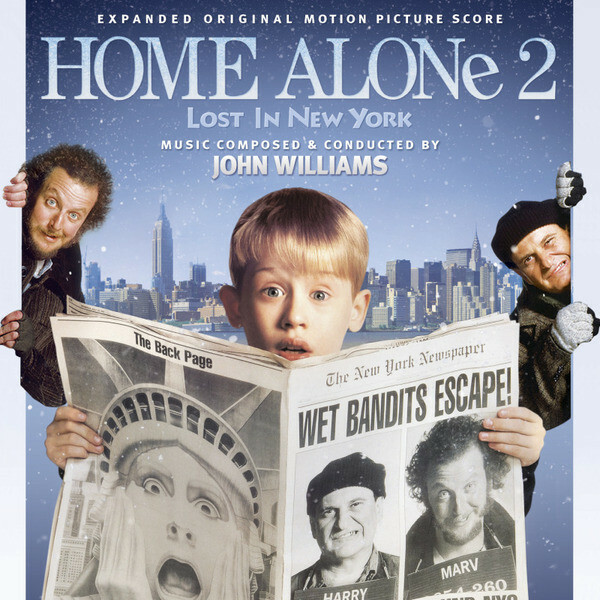 Williams builds upon his marvelous HOME ALONE score, giving the Yuletide saga of Kevin McCallister a festive and joyous, Big Apple spin that will have you smiling through the holiday season! Produced by Nick Redman and Mike Matessino, and mastered by Dan Hersch and Mike Matessino, this special release, limited to 3000 units, features exclusive, in-depth liner notes by John Williams historian Mike Matessino. Yesssss!